Any international sporting competition is incomplete unless it has one very important element….mascots! Personally I don’t even watch an international sporting competition unless I have been marketed a mascot that I can buy in various forms. I like to think back over the history of sporting mascots…they really do complete the entire sporting experience! 1,000 kids entered into a competition to help come up with these mascots. Eventually three youngsters were chosen to add their influence to Grubber and Steed. They were Emily Sixsmith, Luke James and Sam Bithell. 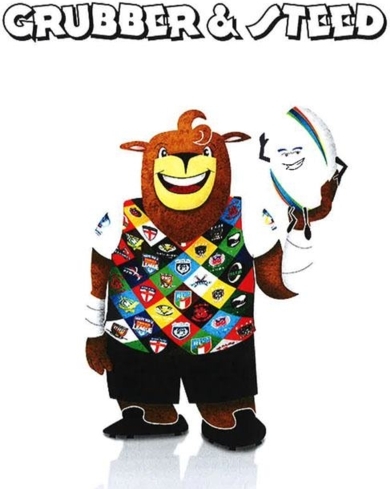 Considering that the London Olympic mascots were “One-Eyed Monsters” I think Rugby League probably dodged a bullet!